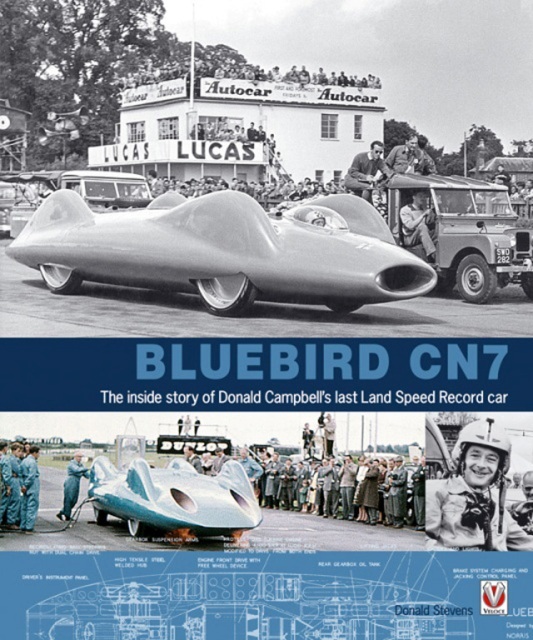 This book tells the story of a pair of brothers, Ken and Lew Norris, who designed and built Britain’s Bluebird CN7 with a mind to break the world’s land speed record. In the hands of Donald Campbell (hence the name of the vehicle: C for Campbell, N for Norris), the greatest-ever LSR holder, this gas turbine-powered car established itself as the fastest wheel-driven vehicle on earth until 1965 and even then was only bested by 6 mph (Summers brothers). The challenges of producing a car capable of achieving speeds of more than 500 mph were substantial, requiring a chassis, gearboxes, and drive shafts that could withstand the enormous torque stresses produced by its 4100 hp gas turbine. And all this happened 50 years ago! Imagine if CN8 had ever been built—a supersonic car capable of a theoretical 852 mph! Author Don Stevens was a young engineer when he became the Norris Brothers’ first employee in 1958 where he first worked on the jet-powered Bluebird K7 hydrofoil and later became project coordinator on the Bluebird CN7 car. The man who dreamt up the project and largely bankrolled it, Donald Malcolm Campbell (DMC), is the son of Sir Malcolm Campbell, himself a record-breaker on land and water in the 1920s and 1930s driving earlier Bluebirds. DMC broke the water speed record four times in K7 and was killed during a record attempt at Coniston Water in 1967. 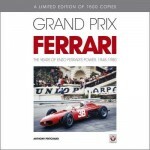 Strangely, Stevens hardly mentions father and son’s record-breaking heritage in this book. CN7’s motive force was the Bristol Siddeley Proteus turboprop gas turbine that had originally been designed to power the Bristol Britannia airliner (not the Fairey Gannett as stated in the text). The text includes a most comprehensive design specification which shows the important aerodynamic testing using scale models in a wind tunnel, and the very advanced design undertaken by Dunlop for the wheels and tires as well as the engine design changes that allowed for power output from both front and rear wheels of the Proteus. There is an excellent set of pictures that show the car’s construction, engine placement, and suspension system. Two major innovations (again, consider that this is 1958) were the adoption of a jet fighter-type heads up display and a telemetry system. The main structure consisted of a lightweight bonded honeycomb material originally developed for the aerospace industry using the “egg box” system with longitudinal beams interspersed with auxiliary cross beams. These beams were very accurately cut so that the CN7’s skin (also using honeycomb) would have no bumps or waviness to disturb airflow over the car. After its first public display at Goodwood in 1960, Bluebird and its substantial support team went to Utah’s Bonneville Salt Flats where, on its 6th run, Bluebird flipped at 350 mph and crashed. Stevens was not present for that, having had a falling out with Campbell’s engineer Leo Villa. The UK newspapers at that time reported that the first the support crew knew something was wrong when they saw the telemetry readings going “off the clock.” By the time they looked up, CN7 was already airborne. Fortunately the Norris design saved DMC’s life and the cockpit remained intact, but the high g forces twisted the main structure. The lengthy crash report (reproduced in the book) blamed the black marker line painted on the salt for creating a changing coefficient of friction when the tires crossed it, resulting in differential wheelspin. CN7 was shipped back to the UK and rebuilt by Rubery Owen with a major modification: the addition of a stabilizing fin, a controversial addition. After having to abort three years later, in 1963, a record attempt on Lake Eyre in South Australia due to unusually heavy rain, CN7 finally broke the record in 1964: 403 mph, well short of the car’s full potential of more than 500mph. It now resides in the National Motor Museum, Beaulieu, Hampshire. 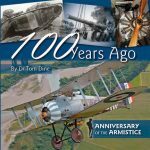 Sourced from the author’s collection and from BP and Rubery Owen archives, the book contains many excellent photographs, diagrams, and graphs showing the evolution of CN7. The Appendices include a CN7 weight analysis, a list of companies associated with the car’s construction, plus a reprint from the CIBA company detailing the method of construction for the honeycomb material, and from Dunlop, manufacturer of the wheels and tires. There is an Index. Verifying the timelines, we note a discrepancy between Stevens’ claimed date of 1959 for the first public display vs. 1960 as recorded elsewhere. One other snafu is that the Proteus engine is described as a turbojet when the correct designation is turboprop. An autographed Special Edition of the book including a 30-minute time-lined DVD of the record runs in OZ is available directly from the author at £29 + £5 shipping.